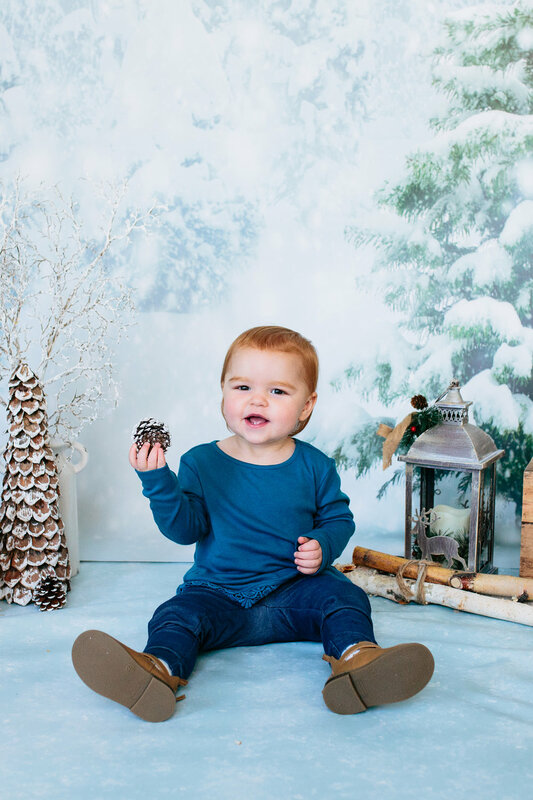 If you've missed it, all this week I've been sharing blog posts from my Winter Wonderland Minis! I offered these new minis this year at my photography studio space in Fall River, MA. Christmas photos are something everyone offers, but I wanted to also offer a mini session that wasn't geared towards Christmas, per say. I have a few clients who don't celebrate Christmas and also I have some clients who do celebrate it but wanted family photos that they could display in their house for many months! Whatever the reason may be, I was more than thrilled to offer a different type of Mini Session this year. I had a wonderful turnout and it will be something I plan on offering again next year. Today's family is a family of three! Dad, Justin, and I have known each other for many years! About 11 years ago we worked together at a local YMCA. It was great seeing him again, and be able to meet his wife and daughter. Here are some of my favorites from their session!